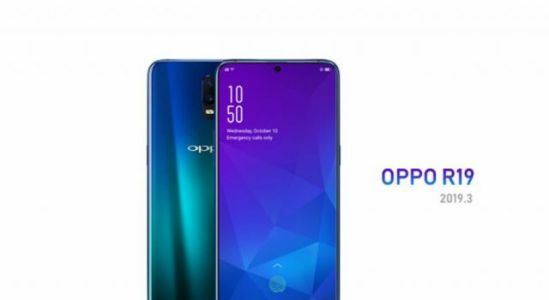 Render allegedly shows off the Oppo R19 with in-display front camera; first look at the OnePlus 7? A render posted the other day on Weibo allegedly reveals the Oppo R19. With razor thin bezels, you would expect to see a notch at the top of the screen. However, instead of a notch, an in-display front-facing camera is shown. Most will prefer seeing a small round sensor on the screen instead of a large notch. In fact, we'd bet that smartphone owners would prefer the look of this render over a smaller teardrop notch.